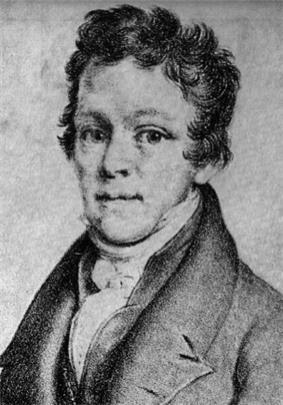 Jan Václav Hugo Voříšek (Czech pronunciation: ; Johann Hugo Worzischek, 11 May 1791, organist. Voříšek was born in the town of Vamberk where his father was schoolmaster, choirmaster and child prodigy, he started to perform publicly in Bohemian towns at the age of nine. His father taught him music, encouraged his playing the piano and helped him get a scholarship to attend the University of Prague, where he studied philosophy. He also had lessons in piano and composition from Tomášek. He found it impossible to obtain sufficient work as a musician in Prague, so in 1813 at the age of 22 Voříšek moved to Vienna to study law and, he hoped, to meet Beethoven. In Vienna he was able to greatly improve his piano technique under Hummel, but once more failed to gain full-time employment as a musician. Voříšek wrote only one symphony, his Symphony in D major, in 1821. Its conservative style has been likened to Beethoven's first two symphonies, but its melodically inventive early Romantic idiom was similar to Schubert's. The first recorded use of impromptu as a musical term occurred in 1817, in the Allgemeine musikalische Zeitung, an idea of the publisher to describe a piano piece by Voříšek . His Impromptus Op.7 were published in 1822, pieces known to his friend Schubert who subsequently used the description for several sets of music for piano, as did Chopin and numerous lesser composers.